Unlike, apparently, 90% of Australians, I was not completely enamoured of Crowded House. Yes, they had some good tracks, I liked the work they did with Tim Finn best, and their live show that I went to was entertaining in a sing-along sort of a way. But they did not do "it" for me. Having said that, I was a fan of Split Enz. Message To My Girl is still a favourite track 30 years later. So, my musical impressions of Neil Finn are positive, if not a little mixed at times. So, it was with some degree of apprehension that I went into this album. I wasn't sure what I was going to get. The liner notes tell me it's full of guests – half of whom seem to be members of the Finn family – and these include Mick Fleetwood and the Barnes children. That confused me even more. Was this an album getting ready for Neil's inclusion in the touring version of Fleetwood Mac? Was this an attempt to hit the Australian pop scene? What? Well, fortunately, it is none of those. Light Sleeper is an album that stands wholly on its own. 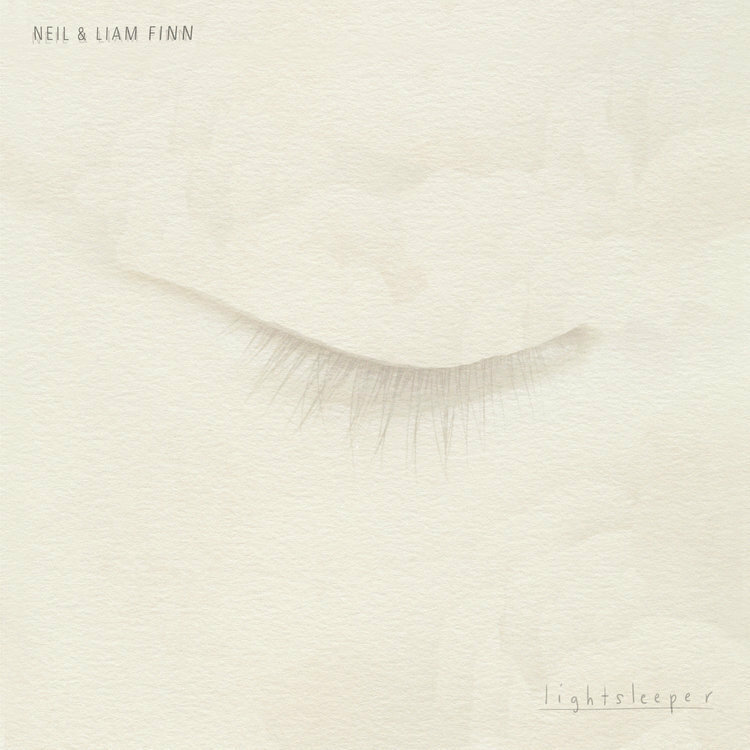 It is not beholden to any of Neil Finn's past achievements; it is setting up an album designed for him and his son to collaborate and shine through in the best way they see possible. And, more than anything else, it works. Opener Prelude – Island Of Peace is a pleasant aural journey, lulling you into a sense of relaxation, which is carried on by Meet Me In The Air. These two tracks would not be out of place on a chill-out album of the 1990s. Where's My Room changes things up a little. A driving beat and the string sounds give it that 1990s Brit-pop feel that most Brit-poppers have forgotten, but updated with a more modern feel at the same time. The changes in it, as well, add to the difference in the song; the piano interlude leading to a deeper voice and a slight change of tempo. Probably my favourite track on the album. Anger Plays A Part could easily have come from a Paul McCartney album, or even a Crowded House one. However, this is one track where the lyrics, I found, actually spoke to me. I really liked this track. Listen is a track that utilises the harmonies of the singers to their fullest. It had the feel of a Roger Waters track, although with much more pleasant voices (nothing against Roger Waters, as I have most of his solo output). One of the album's highlights. Any Other Way was just there, unfortunately. And then Back To Life hits. It is still in that relaxed, laid-back mode, but it stands out to me as one of the better tracks on the album, with a great chorus and such beautiful harmonies. And then there's the mandolin (I think) that just adds a sense of etherealness to it at the right time. This would not have been out of place in a Beach Boys post-Pet Sounds album. Hiding Place is another chill-out track that washes over the listener like a comfortable blanket of sound. The gorgeous piano and choir-like singing add to that impression. Ghosts is another stand-out track. A different sound again, like the sort of experimentation Mike Oldfield used to do between re-releasing different versions of Tubular Bells. We Know What It Means is the closest thing here to sounding like a Crowded House track, but that is not a bad thing. It is a good song, with those voices still driving to the forefront and the lyrics as intricate as any he has written. Hold Her Close, a track they subsequently "gave" to New Zealand Prime Minister Jacinda Ardern to celebrate the birth of her daughter, closes the album out, and once again, we are back into McCartney territory. This one, according to the liner notes, is just Liam singing, and, well, he has a voice on him. It is a very nice way to finish what has been a pleasant sonic journey. This is not a Split Enz album. This is not a Crowded House album. This is an album celebrating the joy of family and showing that sometimes the genetic fruit does not fall far from the tree. Not every child of a great artist seems to inherit their talent; Liam Finn has done that and in spades. Of course, we don't know who did what and how much, but it is obvious this was a collaboration. The music is glorious. It would be the ideal music to put on at a dinner except it does have a habit of grabbing you, and that is not what you want from dinner music. What I would suggest is to sit outside in the sun, a glass of your favourite cold beverage in one hand, sunglasses on, lying on a Lay-Z-Boy banana lounge, this on the iPod, earbuds in, sunglasses on, and chill out, letting the music take you wherever it will. It is worth the journey.